The patient is a 15 year old female rower who has excelled in crew for the past 2 years. 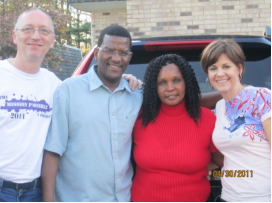 Her severe low back pain began approximately 2 years ago as well. Her first year of crew, the patient was a “skuller” (one ore in each hand, seated in middle) and her second year she became a “sweeper” (one ore in 2 hands, rowing on one side only). This produces significant demand of the low back and trunk. 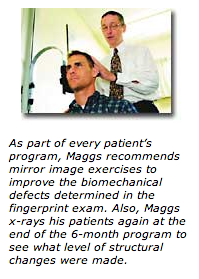 In November, 2010, the patient went to her orthopedist who ordered x‐rays in the lying down position. The front to back view (Fig. 1) and the side view (Fig. 2) are seen here. 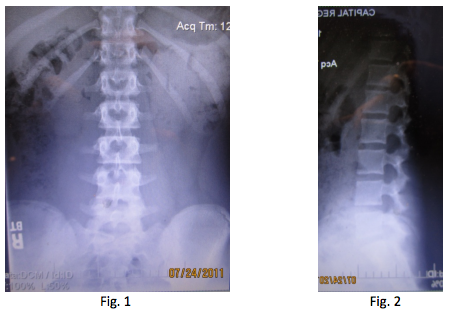 Upon viewing the x‐rays, Dr. Orthopedist said they were negative (nothing wrong). until the Spring of 2011, and then began crew again. 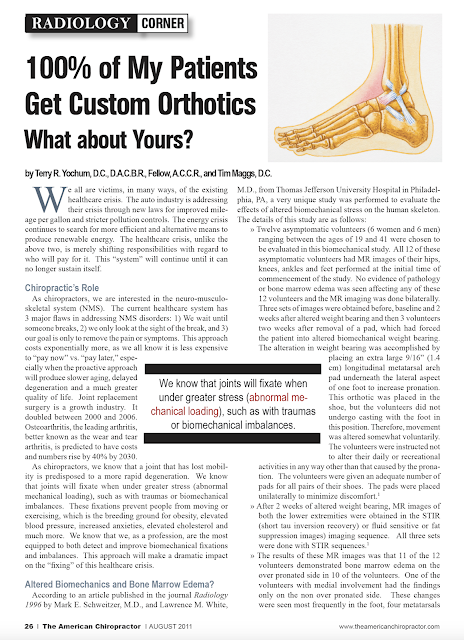 By early April, the pain was back in full force, and the patient was again ordered to stop rowing and get an MRI. and the team had just gone to the Nationals in 2010. Needless to say, this recommendation to a 15 year old athlete, especially with no hope for improvement, is quite harsh. 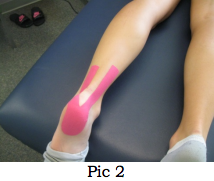 abnormal restriction in multiple key joints, which is very bad for a 15 year old girl. 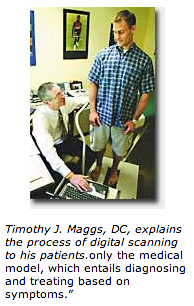 Loss of normal joint mobility is typically a result of abnormal joint loading, or biomechanical imbalances. 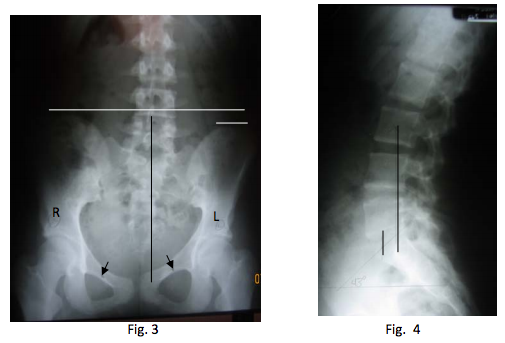 Standing x‐rays were taken of the low back, which now allows the influence of gravity to be seen. The front to back view in the standing position (Fig. 3)shows a significantly differentimpression than the view that wastaken lying down (Fig. 1). Likewise,the side view in the standing position (Fig. 4) shows a significantlydifferent impression than the view that was taken lying down (Fig. 2). same size, but appear differently due to the abnormal rotations of the pelvis. doesn’t go through this process, it’s safe to assume her future will consist of limited physical activity.